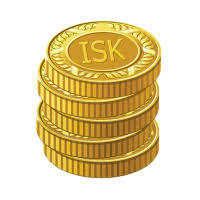 Buy ISK in EVE Online for a great price. You can buy any amount from 100 million ISK. To order, you need to enter the right amount of ISK in the calculator on the right (in units of 1 unit = 100 million ISK) or specify the amount you would like to buy in the next field. To receive the paid goods, contact the consultant via chat or ICQ, inform the pin code and the data for delivery. The transfer occurs in the Jita or neighboring system (the operator chooses the most secure at the moment). Delivery from 5 minutes to 30 minutes, from the time of contacting a consultant and willingness to accept an order. The maximum delivery time is 48 hours. You can always check the nearest time of delivery before purchasing. In the form of goods that are easily sold on the market in the same or a neighboring system. The number and type of goods are different, for the most convenient and fastest sale. We remind you that buying ISK is a violation of the EULA with all possible consequences arising from this, by purchasing, you agree with this.